This page contains a list of projects either existing or proposed by Clubs in the District where opportunities for other clubs exist to share in funding or boots-on-the-ground participation. Contact the District Webmaster and provide flyer or picture or other relevant information if you want your project displayed here. Clarksburg Rotary is loading up and shipping goods to Bomberos (firefighters) in Guatemala. Contact Katherine Turner at clarksburgrotary@gmail.com if you can help. 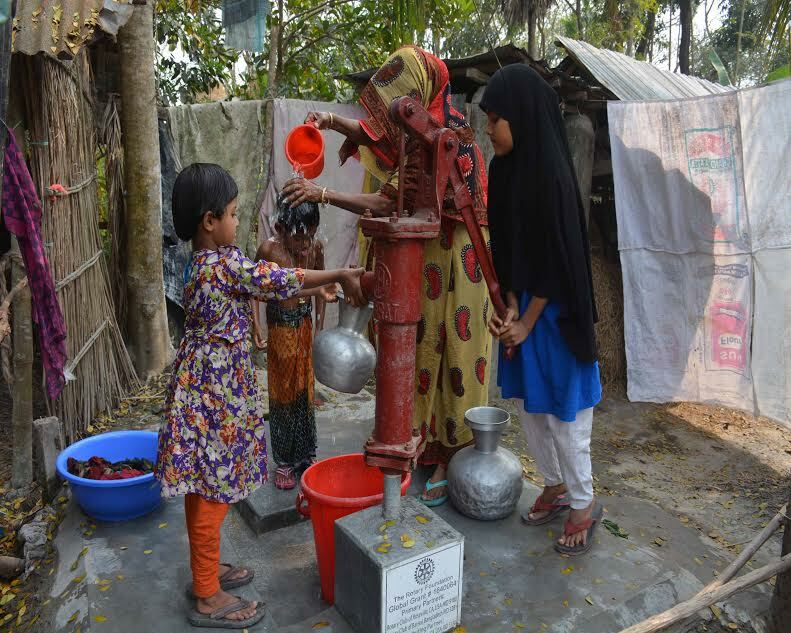 Roseville Rotary Club is persuing a Global Grant (GG) which would provide up to 40 deeper tube wells. The new GG will be designed so that one tube well can benefit up to 200 people in a community. Currently, clean, safe drinking water is not available for over 300 million people in Sub Saharan Africa. 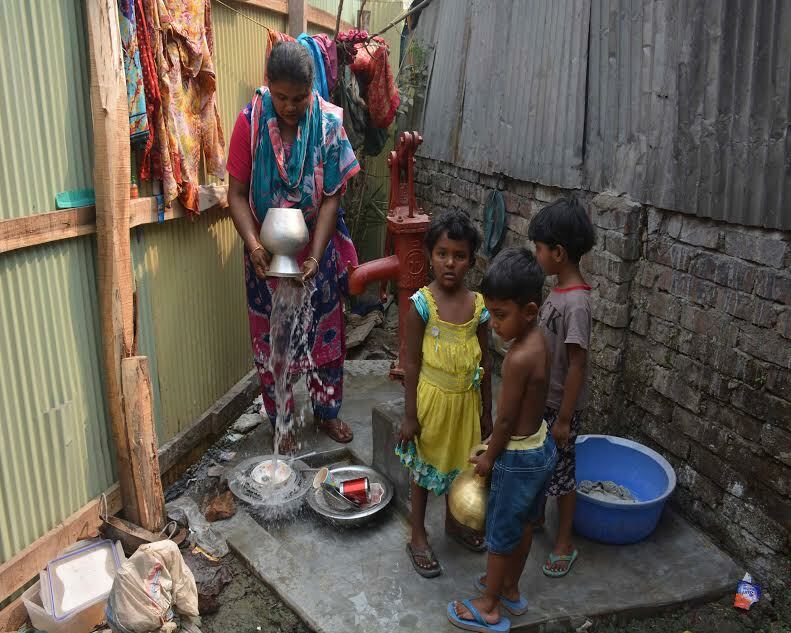 Worldwide, one child dies every 16 seconds due to water contaminated with bacteria and parasites. Today, in Poyemi Village, Iyolwa near Tororo, Uganda, women and children spend the entire day collecting contaminated water for their families rather than attending school and improving the local economy. The United Nations estimates that the women and children of Sub Saharan Africa spend 40 billion hours a year collecting water, equivalent to one entire year’s labor in all of France. 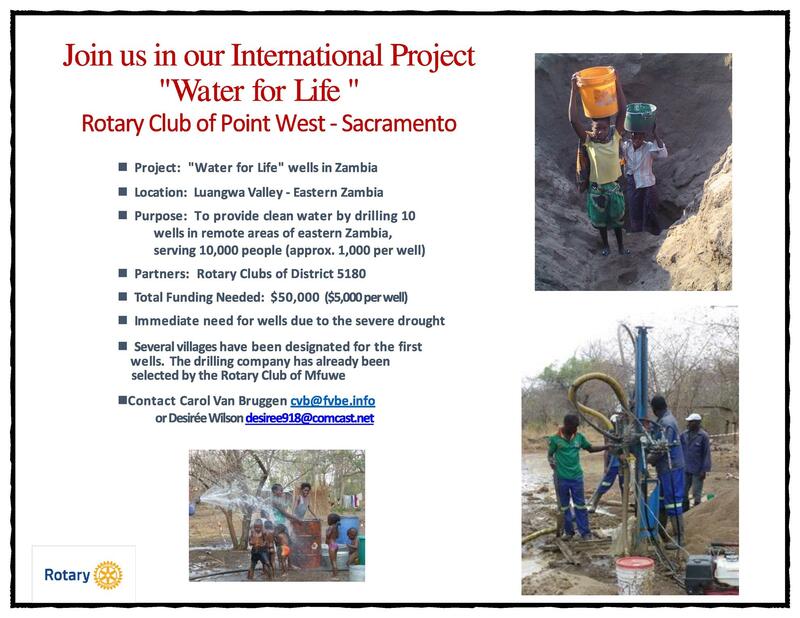 The Rotary Club of Carmichael has partnered with The Rotary Club of Tororo, Uganda to build five 300 foot deep wells with solar powered submersible pumps to provide clean drinking water to 10,000 people and three primary schools in Poyemi Village, Uganda. We are fortunate to have a club member, Richard Olebe, who was born and raised in Uganda, has two Masters degrees in engineering from Stanford University, and has 32 years of experience working on various water projects in the US to provide the technical expertise and connections in Uganda to execute this project. The project will cost $200,000. We need your help to raise $56,000. The remaining funds will come from funds from Rotary Districts 5180 and 9211 and The Rotary International World Fund. To date our club members have raised over $40,000. This project is dedicated to the late Sam Owori (1941- 2017) the 2017 Rotary International President Elect and Founder in 1978 of the Tororo Rotary Club.